Trending at $149.00eBay determines this price through a machine learned model of the product's sale prices within the last 90 days. You are buying the exact item in the title. If you have any questions feel free to contact us and one of us will reply to you as soon as we can. Most things will be shipped the next day after payment is received. Thanks a lot for looking and have a great day! 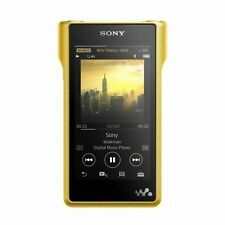 The gold Fiio X1 Portable High Resolution Lossless Music Player is a pocket-sized audio player with a built-in Texas Instruments PCM5142 DAC chip and an Intersil ISL28291 chip. The player supports five lossless audio formats including APE, FLAC, ALAC, WMA and WAV. The player has a microSD card slot that supports up to 128GB of memory expansion. The built-in rechargeable battery recharges via USB and provides up to 11 hours of continuous playback. The player is also equipped with a 2" TFT color display with adjustable brightness. Color: Gold. We do not have knowledge of the history of the item nor can we provide previous owner information. ( We will NOT check compatibility for you ). IPod touch features an apple-designed A8 chip built on 64-bit architecture. Let us know what the issue is and we will help you as best as we can. Orders are processed within 24-48 Hours. Fiio X1 High Resolution DAP Lossless Music Player - FLAC MP3 . Condition is Used. Shipped with USPS First Class Package. IPod has been extensively tested (speakers, ports, wifi, microphone, touch screen, etc) and is fully functional. Item shows moderate wear from previous use. Works great! Trending at $96.99eBay determines this price through a machine learned model of the product's sale prices within the last 90 days. Apple iPod nano 7th Generation Gold 16GB - Works PERFECTLY! Apple iPod nano 7th Generation Gold 16GB - Cracked Screen Works PERFECTLY! Condition is Used. My daughter upgraded to an iPhone hence we are parting ways with the nano. Still works perfectly and sounds great! Apple iPod touch 7th Generation Gold (32 GB). Condition is Used. Shipped with USPS First Class Package. Apple iPod touch 6th Generation Gold (32 GB). One faint lens scratch otherwise near flawless. Pics are of the device. Trending at $133.44eBay determines this price through a machine learned model of the product's sale prices within the last 90 days. Apple iPod touch 6th Generation (16GB) - No cracks. Condition is Used. 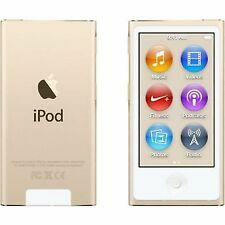 Apple iPod Nano 8th Generation Gold (16GB) (Latest Model). Product has been tested and is fully functional. No box or accessories included except for charging cable. Shipped with USPS First Class Package. Trending at $159.94eBay determines this price through a machine learned model of the product's sale prices within the last 90 days. Apple iPod nano 6th Generation Gold (8 GB). Condition is Used. Shipped with USPS First Class Package. Apple iPod Touch 6th Generation Gold 32 GB Used. Great condition, no cracks or scratches. Comes with a case and pop socket (in picture) Thanks for looking! 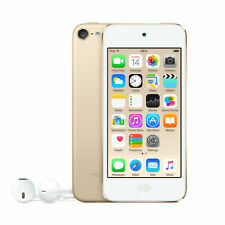 Apple iPod touch 6th Generation Gold (128 GB). The iPod is in new condition and fully functional. This iPod has no iCloud lock and no link to any account. Back case is perfect, top edge has very minimal wear. Trending at $309.45eBay determines this price through a machine learned model of the product's sale prices within the last 90 days. BRAND NEW! MANY COLORS! 90 DAY WARRANTY! TOP SELLER! 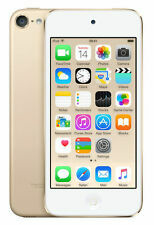 Apple iPod Touch 6th Generation Gold (128 GB). Apple iPod Touch 6th in the original factory sealed box. Factory Sealed box Contains Apple Earbuds and Apple USB cord. Apple Warranty until Nov, 2019 see last picture. 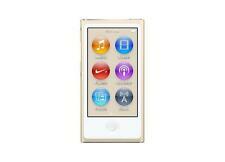 Apple iPod Nano 7th Generation 16GB (Gold). Play your favorite songs, browse music by genre, or listen to Genius playlists and FM radio. Or watch movies and widescreen videos on the bigger screen. And with built-in Bluetooth technology, you can wirelessly connect to speakers, headphones, or car stereos. 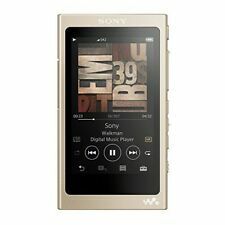 The listed item is a gold FiiO X1 Portable High Resolution Lossless Music Player. This item is lightly used and in excellent condition. It also comes with a Micro USB 2.0 Formats supported: APE, FLAC, ALAC, WAV, WMA, AAC, OGG, MP3, MP2 I will ship within 2 business days after receiving payment. U.S. shipping only. If you have any questions or need additional information, please let me know. Thank you! Apple iPod touch 7th Generation Gold (16 GB); new in box sealed . Condition is New. Shipped with USPS Priority Mail. Most iPhone users enjoyed the simplicity of the 5G model and the size of the device. We have serviced over 25,000 iPhones in the last several years and only use the highest quality parts. Use it for exercising, the gym, car rides, music for events and who knows what else! No other accessories will NOT include, such as headphone, the original box, and manual. Charging Cable. Apple iPod Touch 6th Gen. 16GB in Gold/White. Sale is for iPod only. Does not include charging cable. (1x) Apple iPod Touch 6th Gen. 16GB in Gold/White. If it is an electronic device and is managed by an I.T. Director, we take it. Apple iPod Touch 6th Generation 16GB - Gold (A1574) IN EXCELLENT CONDITION!